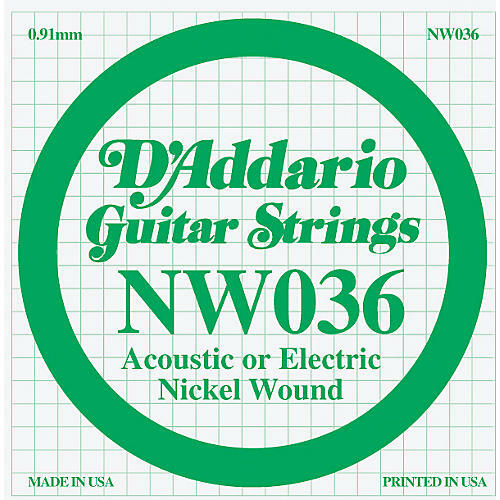 D'Addario Nickel Wound strings are world-renowned as "The Player's Choice" among guitar players of all genres and styles. Suitable for acoustic or electric guitars, this string is wound with nickelplated steel and known for distinctive bright tone and excellent intonation. 5-pack. Choose .017, .018, .019, .020, .021, .022, .024, .026, .028, .030, .032, .034, .036, .038, .039, .042, .044, .046, .048, .049, .052, .056, .059 or .060 gauge.